First there was the Asus Taichi: a laptop featuring screens on both sides of lid, and one of the more interesting 2-in1 designs we’ve seen. Now there is simply the Chi: a 2-in-1 laptop featuring one screen, but a removable one so that you can use it as a tablet whenever you please. It’s a more conventional product, and one that makes use of Intel’s Core M processor in order to cut down on thickness, weight, and noise. 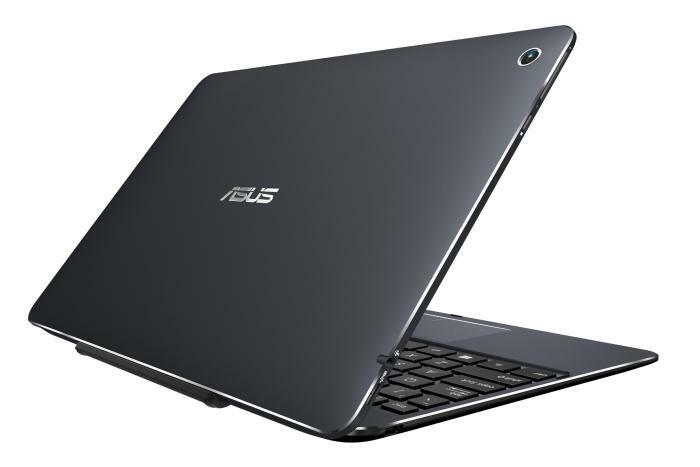 It has a size of 12.5in, making it similar to products such as Toshiba’s business-oriented Portege Z20t, which also uses a Core M CPU, but this Asus has a consumer bent and is squarely aimed at those of you who require the functions of a tablet, in addition to a notebook, and don’t want to carry separate devices. Being a tablet-focused product, all of the processing power is held in the screen, and there are two Chi T300 configurations to choose from: the T300CHI-FH014H has a Core M-5Y71 CPU, 8GB of RAM, a 128GB solid state drive (SSD), and a screen resolution of 2560x1440. It includes an active stylus in the package. Meanwhile, the T300CHI-FL005H has the same configuration, except that it contains 4GB of RAM, it doesn’t include a stylus by default, and you have the choice of getting a Full HD native resolution instead. A stated thickness of just over 7mm makes it one of the slimmest Windows 8.1-based tablets you will find (Toshiba’s is around 9mm), and the thin outcome is primarily due to the new Intel CPU, which doesn’t require a fan to keep it cool. Other benefits of this cooler-running CPU are a lighter weight (the tablet is stated to be 750g on its own), and silent operation. We haven’t used it yet, so we can’t tell how warm it might get, or if there are any hot spots you need to be aware of. Its keyboard base holds the tablet using magnets on the hinge, which should make detachment and attachment a simple task, though the base is stated as being 700g, and therefore 50g lighter than the screen. This makes the unit top-heavy, and suggests you’ll have to be careful about the notebook’s balance when using it in your lap. The connection between the keyboard and tablet is via Bluetooth. Both the base and the tablet are constructed out of milled aluminium, which should make them feel solid, as well as look sleek. Ports on the tablet are of the micro variety. They include micro-HDMI, micro-USB 2.0, and micro-USB 3.0. A microSD card slot is also present. Rounding out the features are a headset jack, 802.11ac Wi-Fi, Bluetooth 4.0, a camera, and built-in speakers and a mic. We’ll bring you a full review that includes battery life and screen quality information as soon as we can get our hands on it. Pricing is $1599 for the top model Transformer Book Chi T300 (T300CHI-FH014H) and $1299 for the mid-range model Transformer Book Chi T300 (T300CHI-FL005H). There is an entry-level Chi T100 (T100CHI-FG003B) available for $699, which has a Full HD 10.1in screen, an Intel Atom Z3775 CPU, 2GB of RAM, a 64GB SSD, and runs 32-bit Windows 8.1 with Bing.